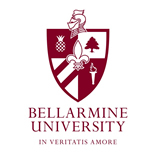 Bellarmine University is offering a continuing education opportunity for all practising physical therapists and physiotherapists. As part of a long term project Bellarmine University has been building a catalogue of pages in Physiopedia on the pathophysiology of complex patient problems. Project participants will contribute to this project by providing a case presentation on one of their clients in relation to any of the complex patient conditions listed. Your presentation will be received and peer reviewed by the physical therapy team at Bellarmine University. It will then be added to the related page in Physiopedia to contribute to the education of students using these pages for learning and also for further collaborative discussion. This project has state board approval in Kentucky, USA. You will receive four contact hours of category 1 continuing education credit. You will also receive a Physiopedia certificate of completion and the related Physiopedia badge. We are currently seeking approval in other states and countries. You can take part in this project at any time. The project started in August 2010 and is ongoing. Professional writing opportunities for clinicians with external peer review. Clinician understanding of the components of a case presentation that can potentially be published as a case report with the addition of a literature review and supportive studies. Clinician exposure to professional literature related to current evidence-based practice (EBP) guidelines. An interactive forum between project participants, students and academic faculty for collaborative learning. An ongoing forum to present contemporary clinical practice standards and expectations. Academic institution support and appreciation to project participants for contributions to the training of future clinicians. Clinician exposure to online learning in a wiki format. Opportunity to contribute to an free and open online professional resource. Choose an interesting client from your caseload relating to one of the topics listed on this page. Contact Elaine Lonnemann by email ([email protected]) for approval of patient diagnosis. Once approved your case presentation will be added to the appropriate clinical pages in Physiopedia and also to the Case Studies section. You will receive your continuing education credit after completing the course feedback survey. Any feedback you have for us is welcomed and you can contact Elaine Lonnemann by email ([email protected]).